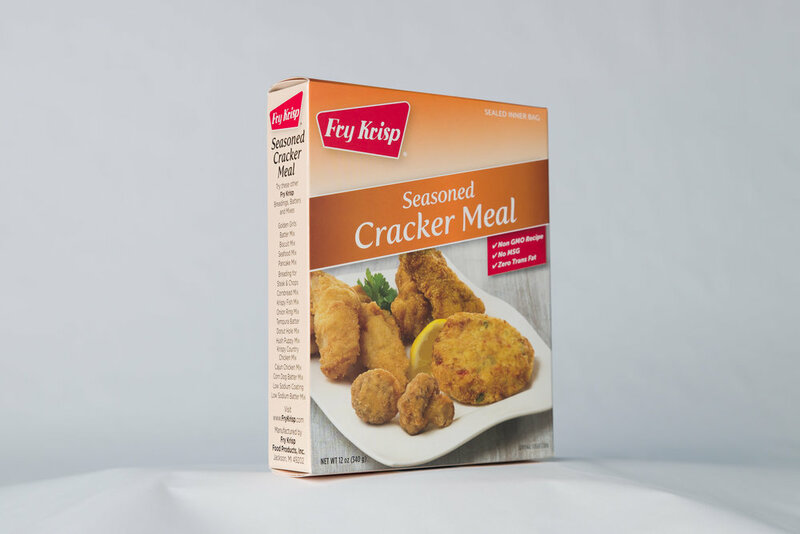 Mix together the Fry Krisp Complete All Purpose Breading OR Fry Krisp Cracker Meal with the Parmesan cheese, parsley, and red pepper flakes. Cook the tortellini until its near al-dente. Drain. Coat each tortellini generously with flour. In a high walled skillet, pour enough oil to cover the apple slices completely – approximately 1 inch. Heat the oil over medium heat to an appropriate frying temperature (about 350 degrees). Dip each piece of tortellini into the beaten eggs, and then into the Breading OR Cracker Meal mixture. Add the tortellini, a few at a time to the oil and fry on each side for about 3 minutes or until golden brown. Remove from oil and immediately place on a plate lined with paper towel to drain off any excess oil. Serve warm with heated Marinara sauce.